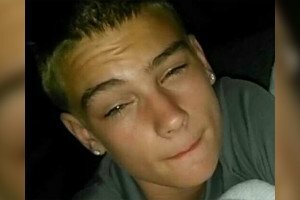 The Philadelphia Police are seeking help in finding Brian Trexler, 16. Police say the teen has been missing since Dec. 1. The Philadelphia Police Department is asking for the public's help finding Brian Trexler, a 16-year-old who has been missing since Dec. 1. According to police, he was last seen that day after having an argument with his mother at his home on the 200 block of W. Allegheny Ave.
Police described the teen as being about 5 feet 11 inches tall and weighing about 130 pounds. He has green eyes and strawberry blond hair and was last seen wearing a black shirt, brown pants and a black hat, police said. Anyone with information is asked to contact the East Detective Division at (215) 686-3243 or call 911.